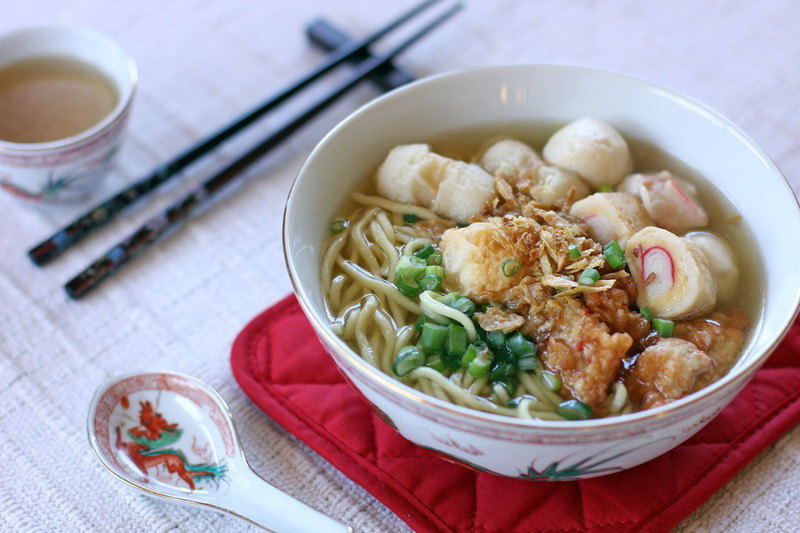 I guess there are a lot of variations on this noodle soup but it all boils down to two main ingredients, fishballs and noodles. I always saw this before in restaurants but never ordered them, I always had the perception of it tasting really light so I never cook them at home as well. All of it changed during the last couple of months when friend of mine served this for dinner alongside other dishes, I saw a lot of people enjoyed it and I decided to grab some for me as well. To my surprise it tasted really good, its light but it definitely have lots of flavour on it. I asked how he made it and it was relatively easy so I made my own version at home. Cook fresh noodles according to packet instructions. Pour soup base in a pot, add the assorted fish balls and fish cakes then bring it to a boil. Simmer for 20 minutes. Season soup with fish sauce then pour on top of soup bowl with noodles. In a pot add all wonton soup base ingredients together and bring it to a boil. Using a muslin cloth drain soup into a separate container. You can use ready-made wonton soup base mix if you want it easier (this is what my friend used), but if you want to be free in defining the taste of your soup base you can follow or even adjust the recipe below. You used ready made fish balls? I don’t see any ingredients or method to make some. Personally I’d prefer to make my own from scratch because I known that so much available from the Asian supermarket is unfortunately packed with msg. i Guess this recipe will fit in with my homemade yoong tau foo….. Your soup base sounds delicious! And I like that it’s not too difficult. This is the perfect soup for a rainy day like today. In fact, any day, this will be just fine. Thanks for sharing the recipe – must try it soon. Ang sarap talaga! And now you’ve introduced me to a new ingredient, I don’t think I’ve found fish balls before. This soup looks so healthy and flavorful! Is it an ingredient just found in specialty shops?? Guess what, Raymund! We just had exactly this soup last week! I am not kidding! You know what else is great with this soup? I always have a BBQ sauce on the side (buy the BBQ shabu-shabu sauce in tin cans in the shabu-shabu condiment section of Asian stores). I mix the BBQ sauce with Lee Kum Kee’s Chiu Chow Chilli Oil…Ang sarap! 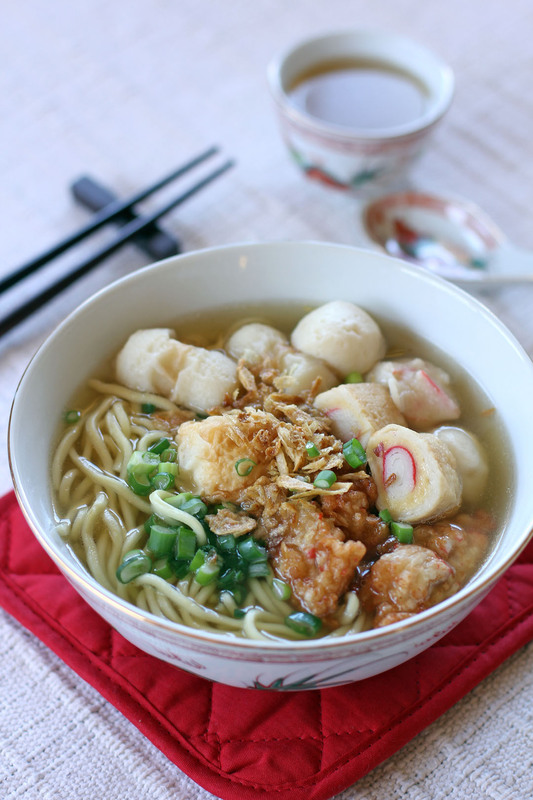 I love fish ball noodles and there seems to be quite a few versions. My fave is the ones in Hong Kong and Malaysia. I love fish cakes and fish balls! My mom made them often when I was a kid. I’ve never made them myself, but I enjoy ordering them in restaurants. The whole bowl looks so hearty and delicious. This looks so good, I’m a sucker for this kind of dish at restaurants, but I’ve never attempted to cook it myself. Your recipe looks so easy and delicious…I’m inspired.